It was all good just a few months ago, but it looks like Snoop Dogg and adidas might be on the outs. After being named the brand&apos;s Director of Football Development in May and then taking on the title of Director of Football Recruiting last August, a recent Instagram post from Snoop reveals that there&apos;s trouble brewing in paradise. 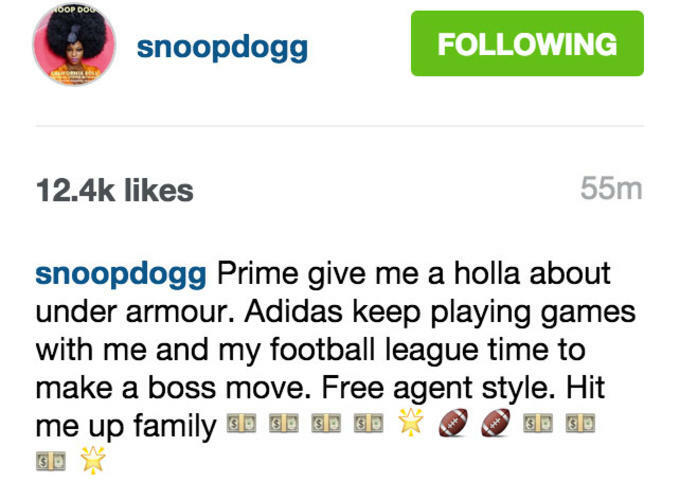 In the post, which has since been deleted but is pictured below, Snoop said that "adidas keep [sic] playing games with me and my football league time to make a boss move." Apparently, he&apos;s getting some consultation from none other than Deion Sanders, who Snoop says is encouraging him to jump to Under Armour. 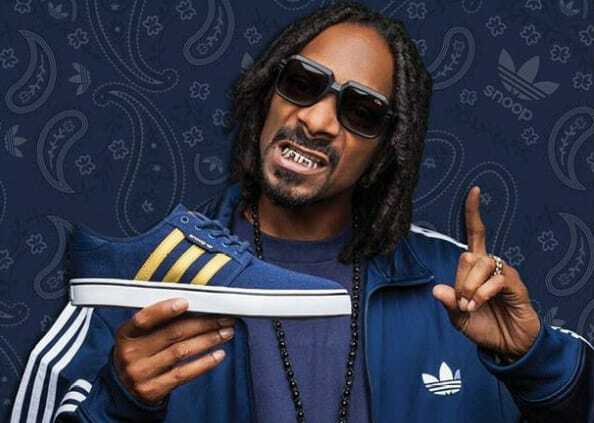 Snoop doesn&apos;t elaborate, but from the sounds of things, he thinks adidas isn&apos;t giving him the leeway he needs to flourish in the new position. We&apos;ll let you know as we hear more.